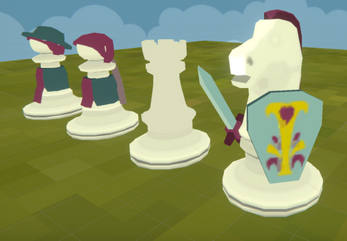 Note: This is a prototype made for the ChessJam which, due to a busy month, I wasn't able to work on it and finish it off to the level I wanted, but for posterity, I'm posting the current build anyway. 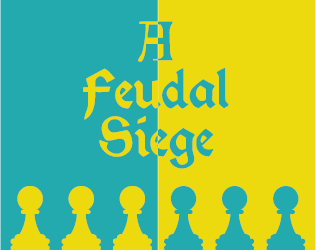 It's Feudal times, and your dynasty is going through a period of upheaval - the old ruler has died, and you've taken their place, only to be declared war upon by a pretender! 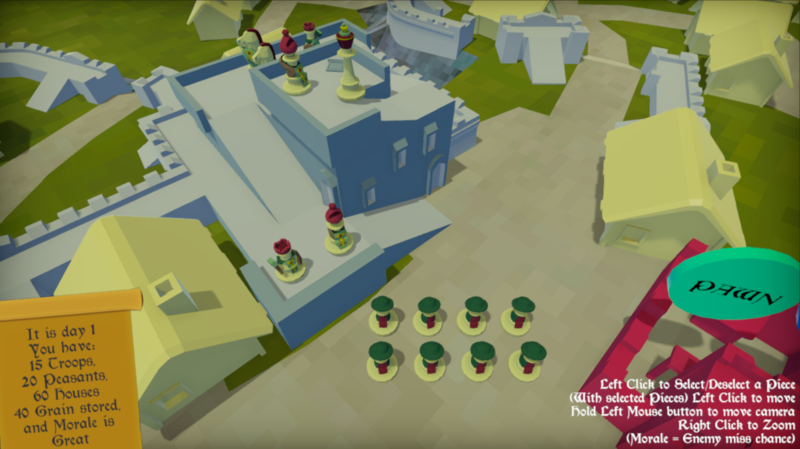 Use your troops to defend yourself and your castle as long as you can! Use your mouse to move around the map, select/deselect troops, and create new ones from the Barracks/Church. Defend the Huts around the castle grounds to gain food and peasants to keep morale high!